LGI Homes (LGIH, $16.69) is a little known homebuilder that is a good example of the baby being thrown out with the bathwater. LGI derives around 60% of its revenue from Texas and anything related to oil has been crushed in the past nine months. Since touching $21 last July, LGI is down 20% despite great results and very positive guidance for 2015. Homebuilding is a fairly crappy industry (commodity, high debt loads and heavily dependent on the economy) but LGI is both one of the fastest growing and cheapest homebuilders out there. LGI is in a great position to soar over the next few years as the housing recovery continues and mortgages are easier to get. LGI was founded in 2003 and IPOed in November of 2013 so they just released their first full year of results being a public company. They specialize in building move-in ready homes for first-time buyers (mainly young renters looking to buy) and their average sales price is $166k which is substantially less than the next closest public homebuilder (AVHI in the $250s). Maintaining a growing inventory of move-in ready homes is, in my eyes, much riskier than many builders that only construct homes after receipt of a signed contract and deposit. In good times (like right now) they are able to immediately sell homes though, so it cuts both ways. As mentioned above, LGI is very concentrated in the Texas market and I feel they have been unjustly punished because of it. First, LGI’s growth has not slowed one bit since oil began to go down last summer. February marked the 14th consecutive month of year-over-year growth in monthly home closings, including the Houston market that has seen increased closings/community in January and February vs last year. Texas will also continue to trend down as a percentage of revenue as management expects the majority of future community growth to be outside the Lone Star State. The homebuilding industry is highly fragmented and there’s a ton of competition—not surprising given the commodity product they sell. LGI does have a unique sales and marketing process that results in their industry-best gross margin, but that process costs them in SG&A and the net effect is a slightly above average operating margin. Eric Lipar, CEO and Chairman, co-founded LGI Homes in 2003 with his father, Thomas Lipar. Eric owns 2.9M shares worth $48M; this puts his stock ownership at 32x his total 2014 income of $1.5M. Thomas is no longer an active executive but he owns 2.3M shares that are worth over $38M (and he still gets $100k/yr in consulting fees). Combined, Eric and Thomas own around 25% of shares outstanding. Every officer and director owns at least a couple hundred thousand dollars’ worth of shares which is always great to see. LGI’s executive compensation is also in the lower half of the industry. The company has only been public one full year but so far management seems to be the type to “under promise and over deliver.” They exceeded every single guidance measure they issued in 2014 which is why their 2015 guidance has me excited. While things like 3% down mortgages make me worry about a 2009 repeat, it seems everyone has learned their lesson (at least for now). More standards have been put in place to eliminate no- or low-doc loans and mortgages must be approved based on the maximum monthly charge, not just low teaser rates. 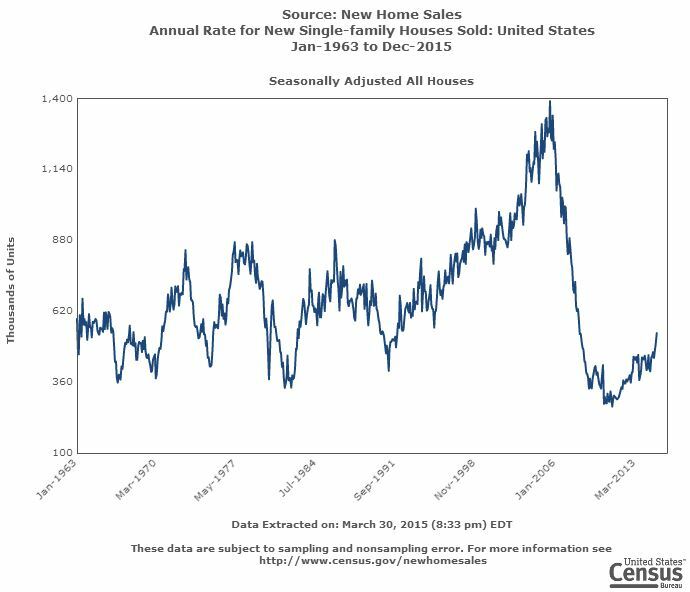 The biggest risk is the housing recovery comes to an abrupt end and we enter another downturn. I don’t like to make macro calls, but all signs I’ve seen point to a continued recovery. As mentioned above, LGI maintains a large inventory of lots and move-in ready homes. Their ratio of lots/TTM home closings is 6.8—quite a bit higher than the industry average around 4.5. While it makes sense for a fast growing homebuilder to have a larger supply of lots, it’s very possible they could face a large write down if a downturn hits. I don’t envision owning LGIH more than a couple years—I have no idea how this housing recovery will turn out (and when it will turn), but I like what I see in the near term. Because of this, my valuation is simply based on their peer group and their 2015 guidance. LGIH is currently selling at a P/E of 12.5 vs an industry average of 17.4 (they have the lowest P/E ratio of any homebuilder). Management has guided 2015 EPS in the range of $1.85-$2.25. They have issued more specific guidance (home closings, number of communities, average sales price) that shows how they came up with their EPS range and all assumptions seem very reasonable. Just reaching the bottom of EPS guidance ($1.85) and staying at a P/E of 12.5 puts the share price a year from now at $23.12 vs today’s price of $16.69. Hitting the guidance midpoint ($2.05) and getting some credit for their growth via a 14.5x multiplier would get the shares to $29.72. I initially bought shares under $14 but still think it’s far too cheap and added more around $16.50. Nicely done on this one!